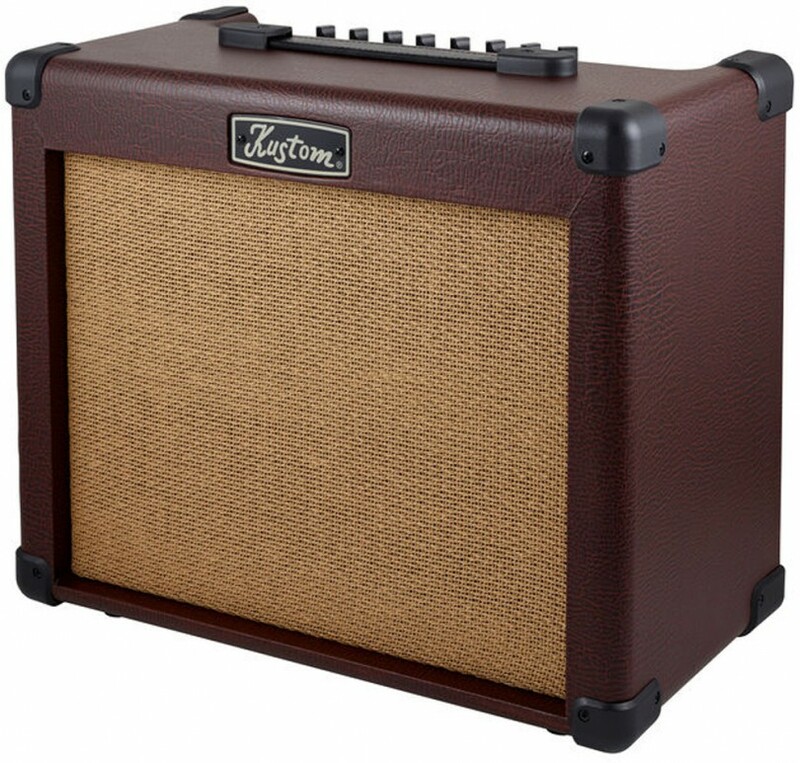 The Sienna 35 Pro is a 30-watt combo amplifier with a 10-inch speaker that is made to both reproduce and enhance the natural sound of your guitar or other acoustic instrument. The approach is more "hi-fi" in nature. With both an instrument input and a microphone input provides flexibility for interfacing with the amp. You'll find eight 24-bit digital effects, like Reverbs and Echo, to enhance your sound. EQ controls include a Feedback filter - very handy for live gigs. Back panel connections are: (1) Speaker Out which disconnects the internal speaker to allow use of an external speaker; (2) 1/4-inch Line Out; (3) a Footswitch jack to turn the digital effects on or off. The Sienna 35 Pro lets you fine-tune your sound, and then amplify it in a way that brings out its best qualities.